When identifying today’s most prevalent single-ply membrane roof systems and their appropriate application methodologies, there are a number of myths surrounding durability, energy saving capabilities and condensation concerns. 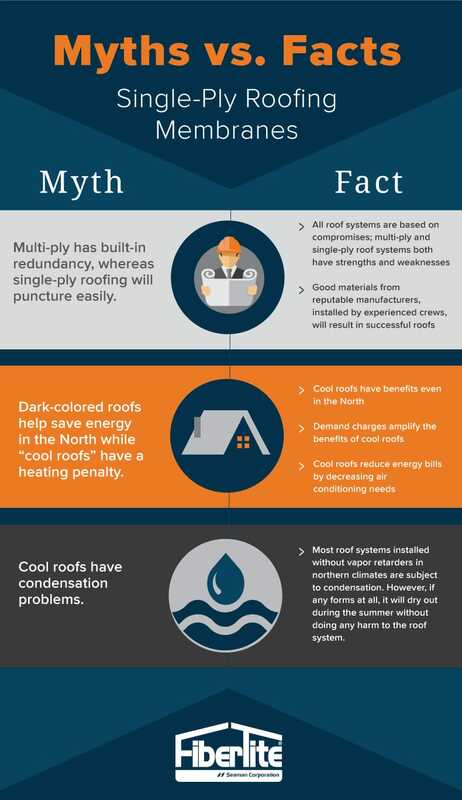 Take a look at the myths below to see what’s real when it comes to single-ply roofing. Despite false claims against single-ply roof systems, the myths don’t live up to the facts. See how FiberTite’s roof membranes have a proven track record in all climate conditions across the country by contacting FiberTite.